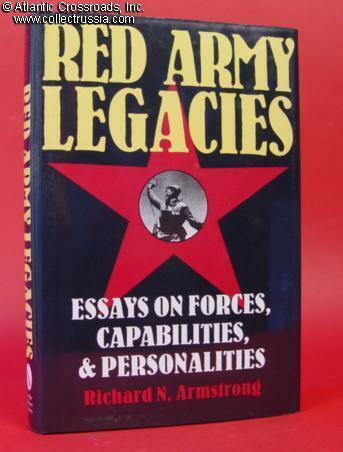 "Red Army Legacies, Essays on Forces, Capabilities & Personalities" by Richard Armstrong. 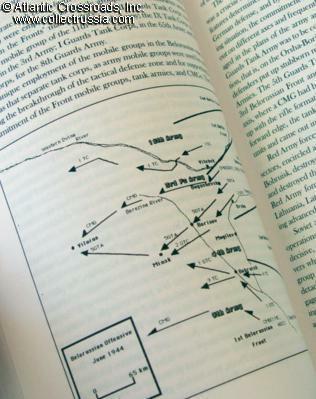 "Red Army Legacies, Essays on Forces, Capabilities & Personalities" by Richard Armstrong. c. 1995, hardcover with dust jacket. 9.5" x 6" x 1" English Language text. Very interesting analysis of Soviet Army doctrine, as compiled by a Cold War US Army intelligence officer. Based on decades of study of WW2 battles and an intense scrutiny of German intelligence reports, among the authors conclusions is a new understanding of Soviet tactics as more flexible and inspired than previously thought. 250 pages of text with some maps, an enlightening read.